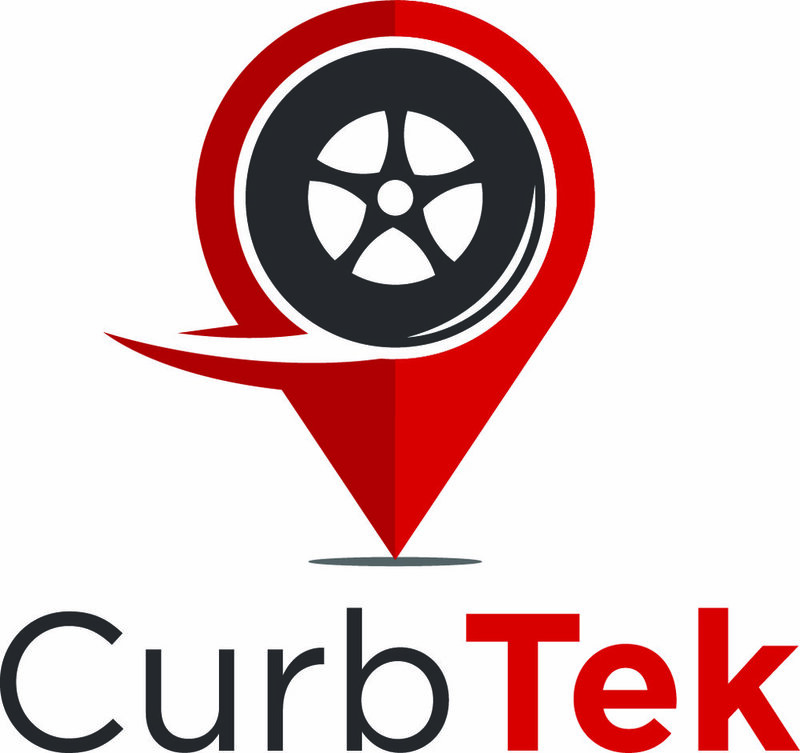 Initially I was approached by the CurbTek founder to refine a logo and advise on typography. From there I was able to help them with some flyer design and business cards. 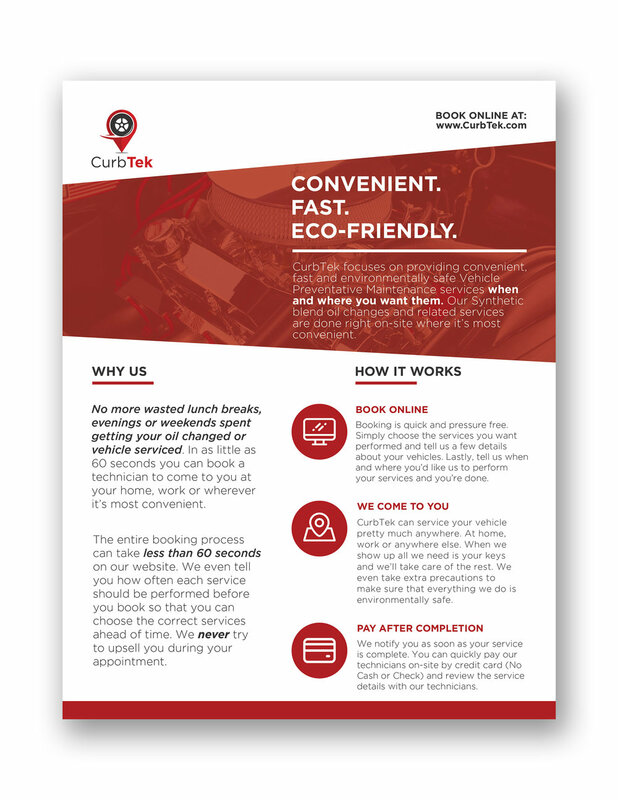 This was a flyer designed to target individuals and groups to be left at business offices to explain the CurbTek services. Several flyers were designed for different audiences to attract them to the services and to prompt people to book online. Certain points needed to be stressed and the steps of service broken down. Icons were sourced that may be used in the future on the website. 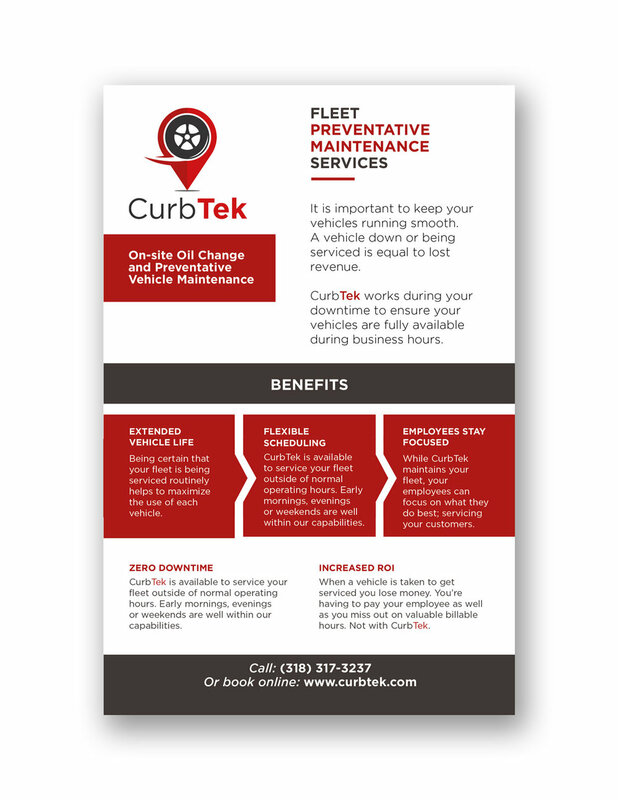 This smaller flyer was created to be distributed to fleet businesses that could highlight a different set of benefits for companies. 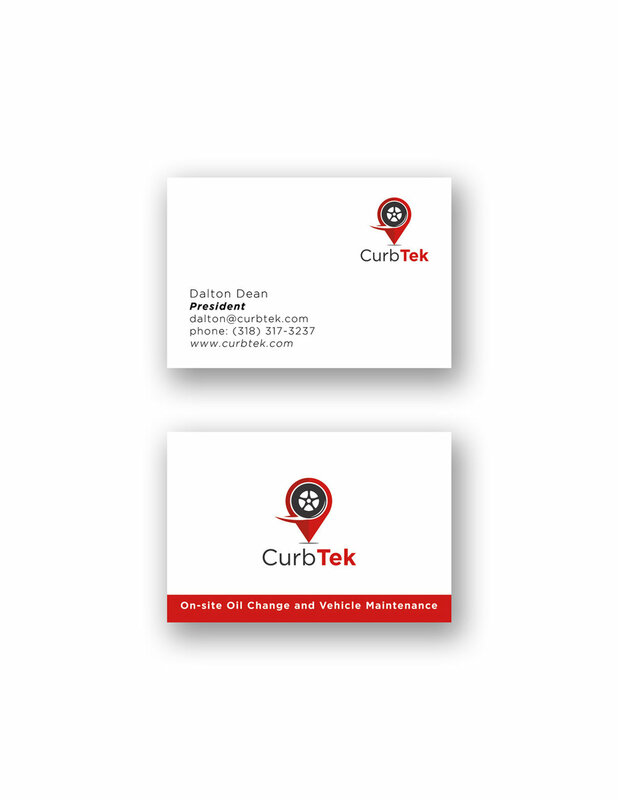 A business card was designed for the founder and eventually a blank one for service workers to leave behind.